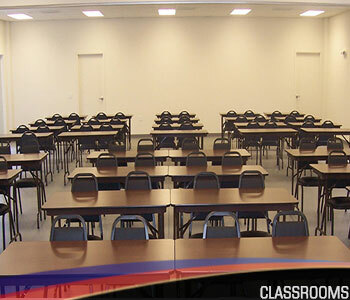 Our developed classrooms are large and capable of accommodating a large number of students without cramping them up. All classroomsare well equipped with all modern technologies required to make the teaching-learning process fruitful such as LCD screens and PPTs are used in our fully air-conditioned classrooms for effective teaching. Our classrooms with latest technology is also is impeccably furnished to accommodate 150 laptops at a time for I.T lectures to be conducted in the class itself and transforming the class into an I.T lab.